This represents about 2 months of solid work. It was also a great learning experience. I displayed these at ChattaCon and have already sold a few pair. 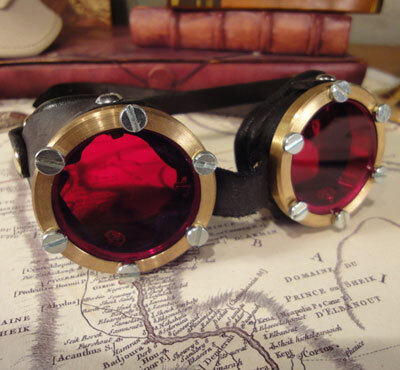 They are indeed pricey, but I think there is a market for a pair of high end brass goggles in the steampunk community. Really nice! Makes me want to start a steampunk costume. . . Hmm, I have a duster already. Odd. That does not look anything like a Pirate coat. HHhhmmmm.